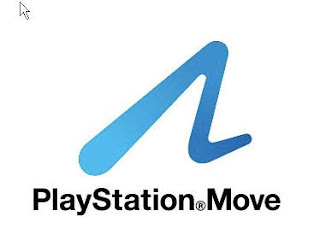 ruthdelacruz | Travel and Lifestyle Blog : The PlayStation®3 Move - Move It and Feel It! The PlayStation®3 Move - Move It and Feel It! I was like three years old when I got to play the first console gaming - Atari. At the age of five, I was already playing the Mario 1 and Pacman - thanks to the Nintendo Family Computer which my dad has bought for only $10 (or Php500 - that was years ago!). Then I grew up and I was able to finish a number of games including Punch Out, Mario 1, 2, 3 - SuperMario Bros, Goonies, Contra, and other race and alien games. I have totally forgotten about games when I went to High School and then there was love and boyfriend and kisses. 15 years after, here I am, checking the Playstation Move. I know I am old enough to believe in genies, but if one would show up infront of me, and would give me a PlayStation® Move - that would totally change the quality of family bonding especially that my parents are already Senior Citizens. Great. I wouldn't need to share and fight with my siblings anymore since I no longer live with them. But having one would mean virtual bonding with mom and dad - learning and enjoying the fun of games that only kids are licensed to enjoy. At least, that would give them a total different experience other than watching TV and comic shows. I would love to play Lara Croft and the Guardian of Light. I am just always fascinated about Lara and the PC game version is something that I have never finished, so that's the challenge. Online site has offer of PlayStation®3 for only $99 with the Move bundle package! © ruthdelacruz | Travel and Lifestyle Blog : The PlayStation®3 Move - Move It and Feel It!